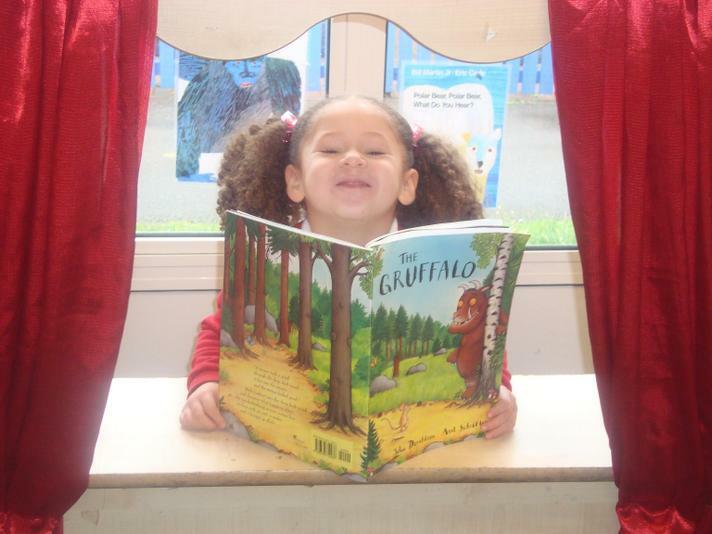 This term our novel study has been The Gruffalo. 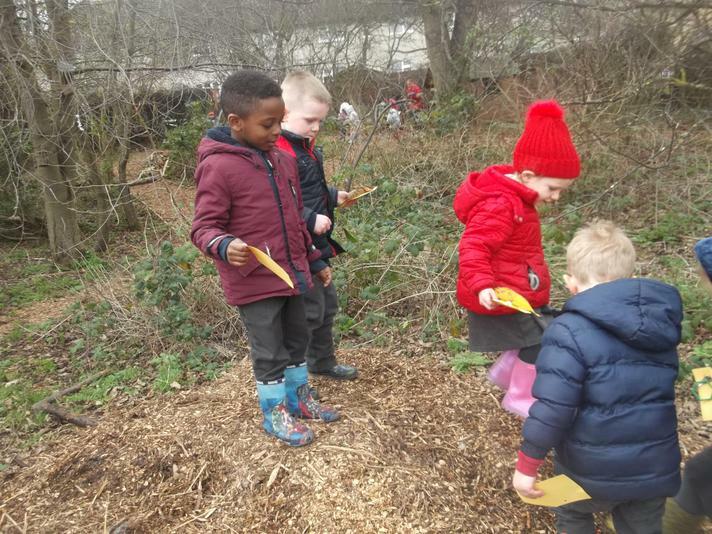 We have been on a Gruffalo hunt into our woodland area and have enjoyed talking about the different characters and describing what they look like. We have also acted out the story using puppets and story spoons. 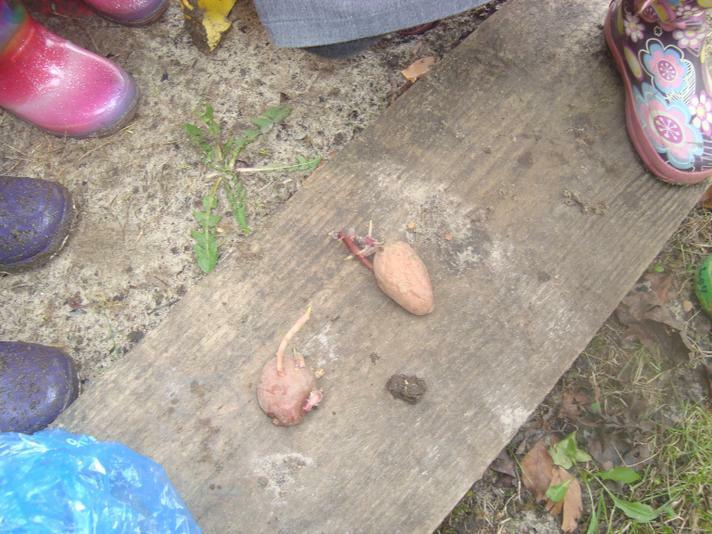 We have enjoyed looking for shapes around us and have started to create our own shapes using natural objects. Planting and watching things grow and change! 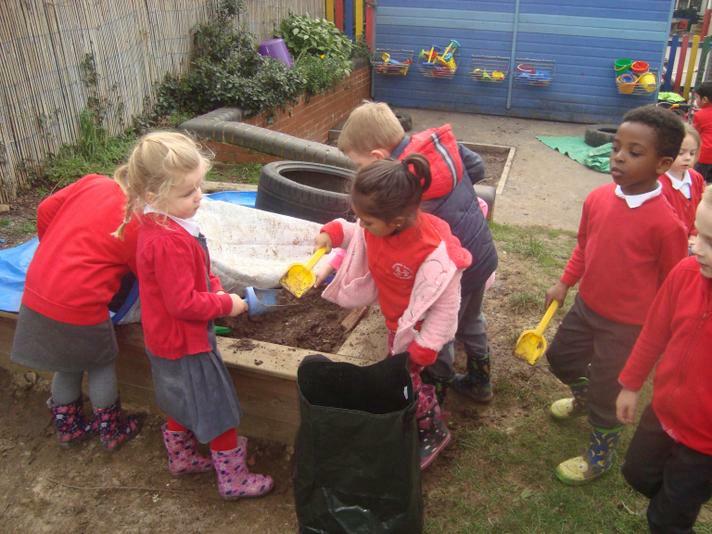 This term we have been busy planting and watching our seeds grow. 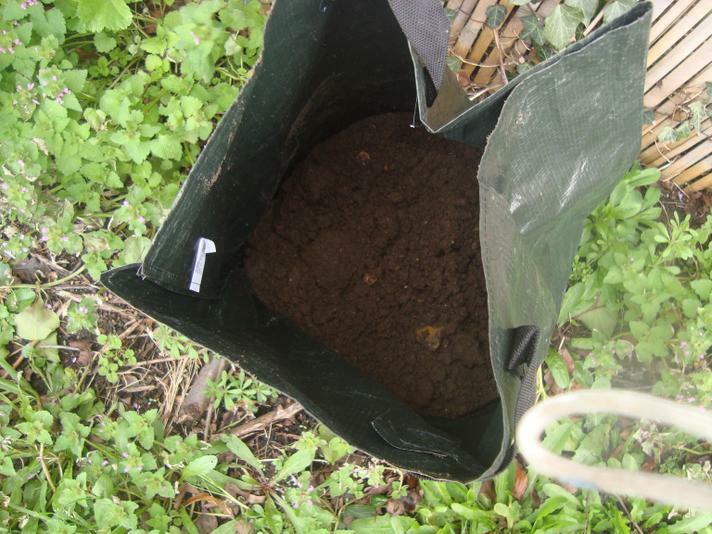 We have planted potatoes in sacks and we are adding my soil and watering them. 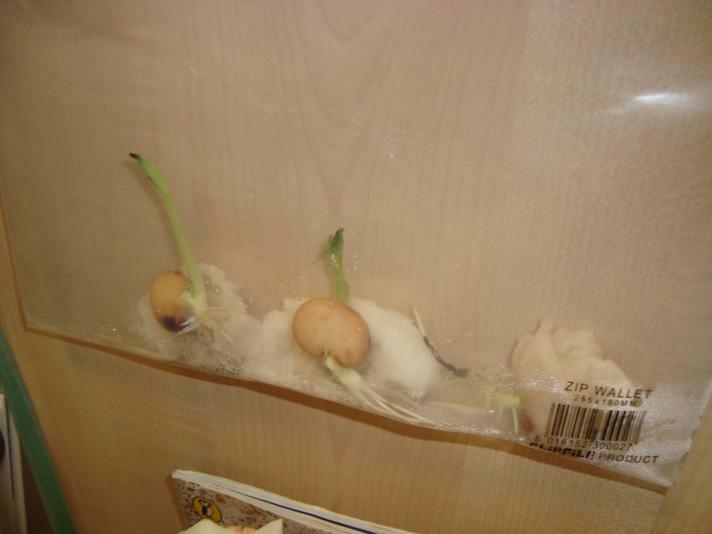 We have been observing beans grow in cotton wool and talking about the changes we see. 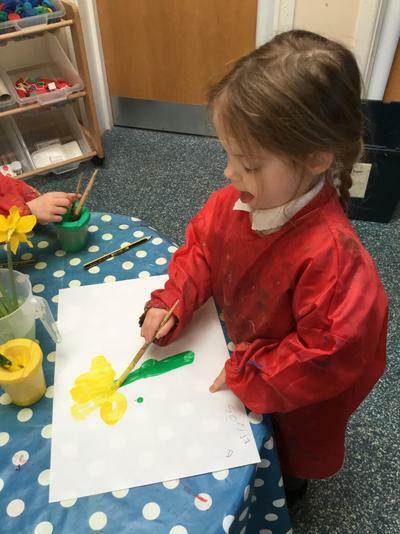 We have drawn and painted flowers and during one of our forest school sessions we also planted salad seeds for us to take home over the Easter Holidays. 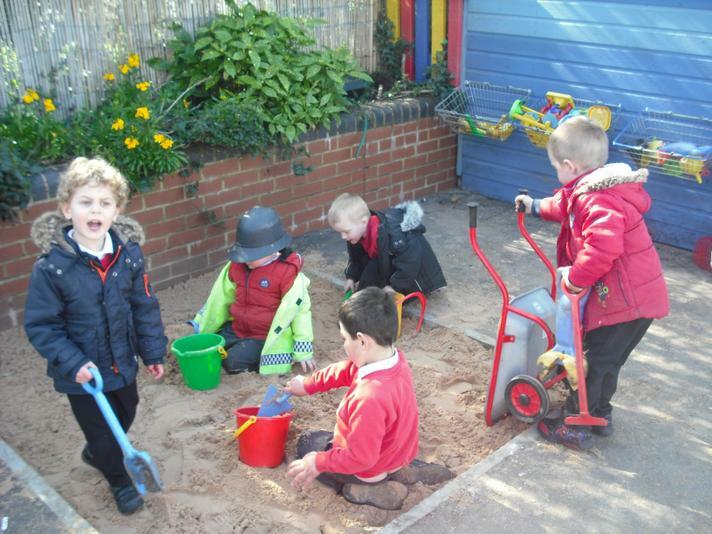 During the Spring Term we have been developing our outdoor area. 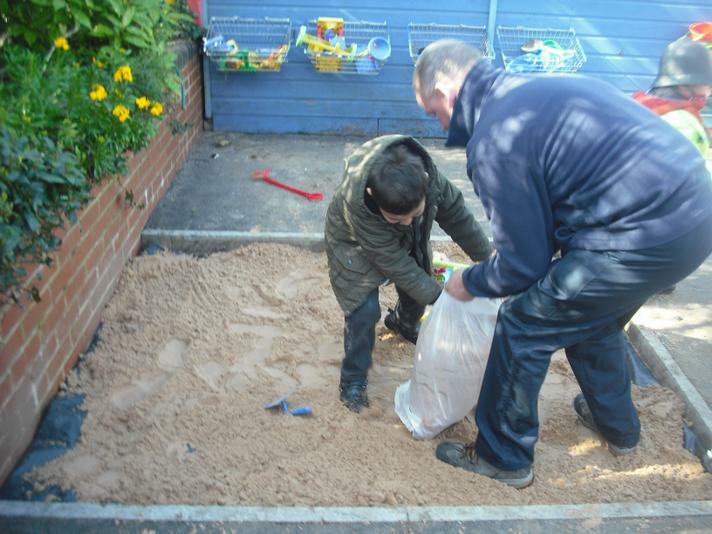 We have created a new mud kitchen and sand pit. 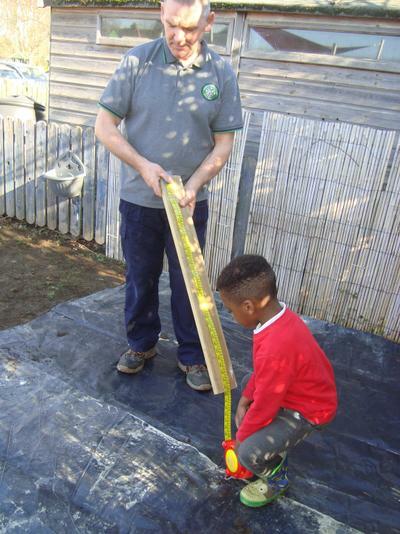 We planned out and measured together what we wanted and our hard working Caretaker Mr Egan has helped us in making our creations possible. 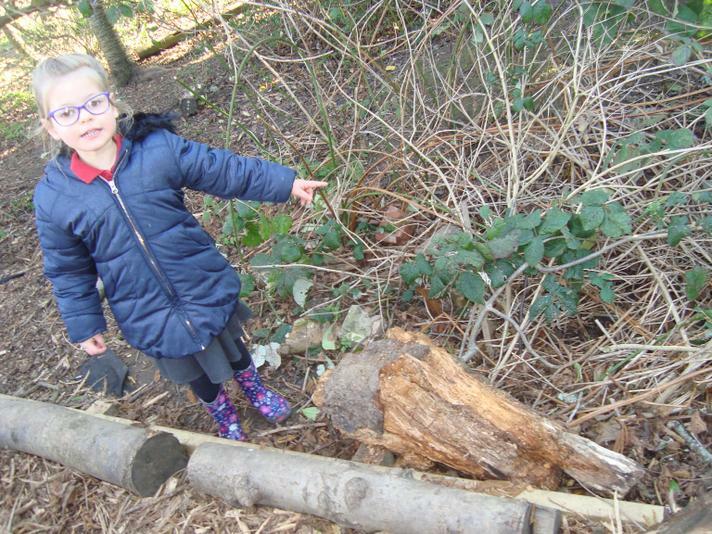 We have been enjoying being out and about in our woodland area. 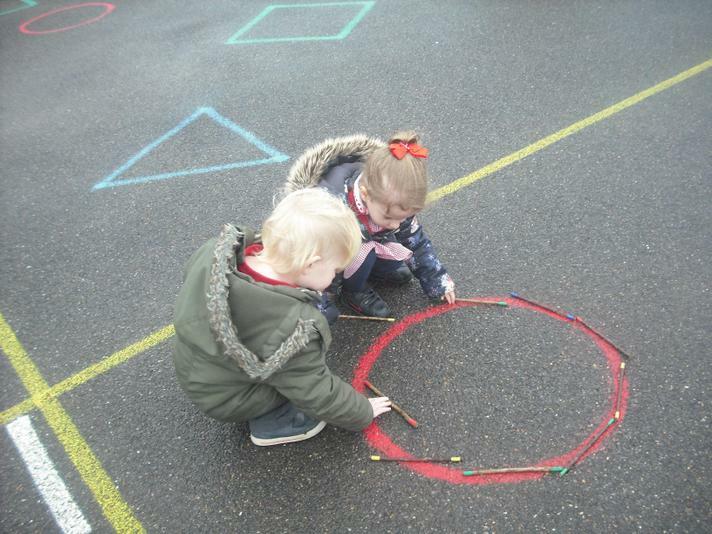 We have been busy counting different leaves and sticks, we have noticed the changes of colours around us. 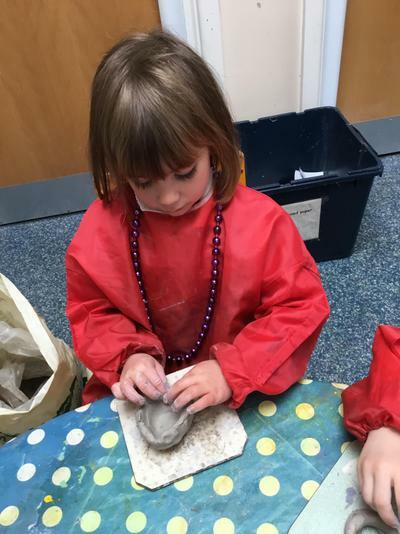 As part of our Forest School Fortnight we got to make models with clay and also relax and focus our minds with Yoga. We were very excited to see our library bus arrive. We all got to go on the bus to read stories and pretend to be the driver. 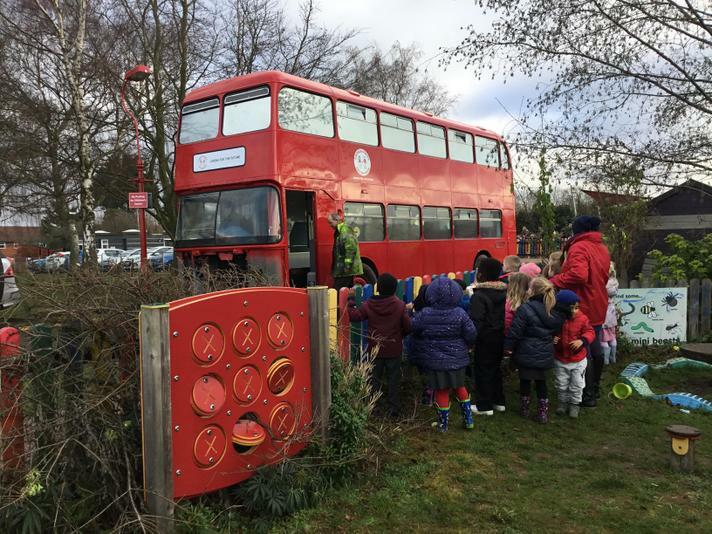 We took our experiences back into the classroom and made our own bus and painted our own pictures of what the bus looked like. 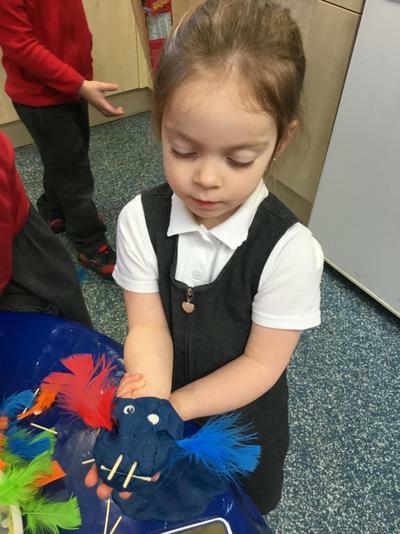 This term we learnt about the story Owl Babies. 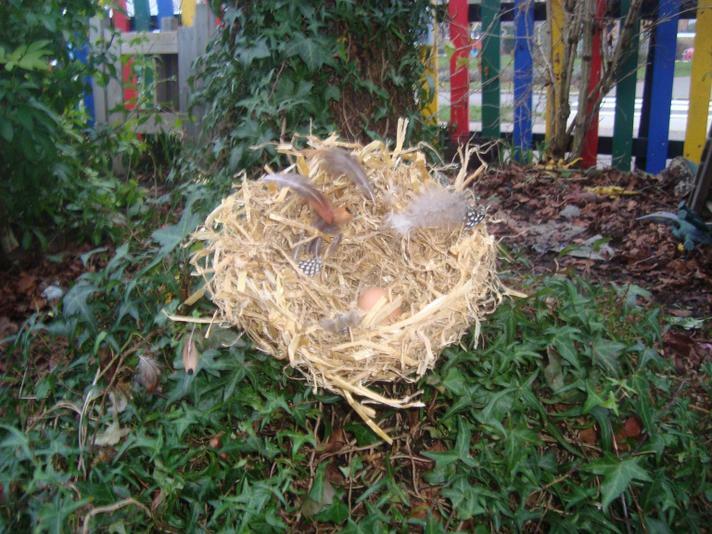 We came back to Nursery after the weekend and nest had appeared with an egg. 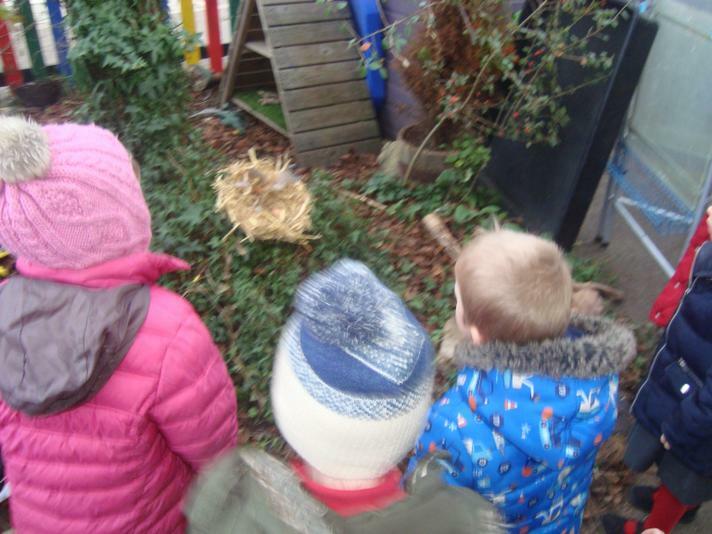 We talked about who could have left the egg, a bird, crocodile, dinosaur... We then discovered it was an owls nest and they left us the book Owl Babies to read. 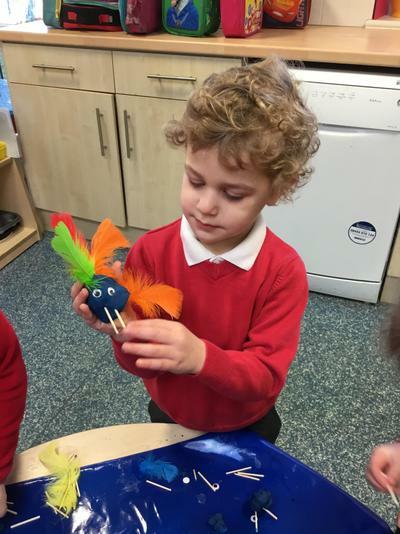 We enjoyed talking about the characters and made lots of models and pictures of different birds. What a wonderful term we have had with the weather. 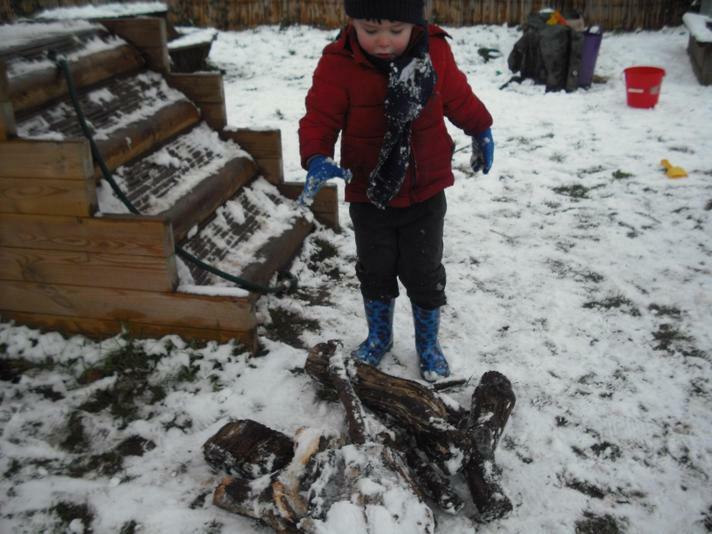 We have been very lucky to explore the snow, building snow people and talking about what it feels, looks and sounds like. We have enjoyed painting with ice and seeing what happens when the ice melts and mixes together! 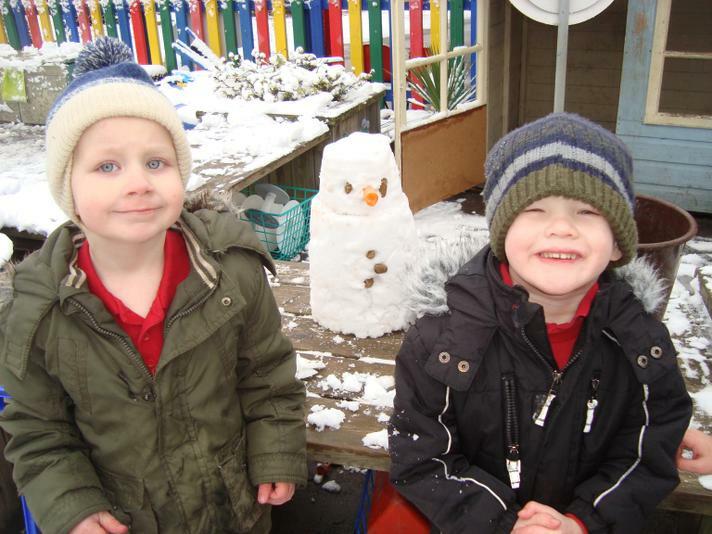 In Nursery we have been doing lots of exciting things to get ready for Christmas. 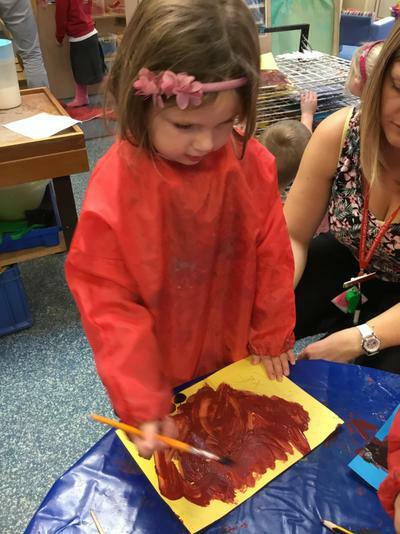 Our grown ups came in for Make a decoration day where we used lots of glue, glitter paint and sparkles. The children got to choose a present and wrap it up on the Christmas shopping day. The children had a great time at their Christmas class party, they dressed up, ate party food and wore the party hats they had made. FATHER CHRISTMAS even made a visit!! 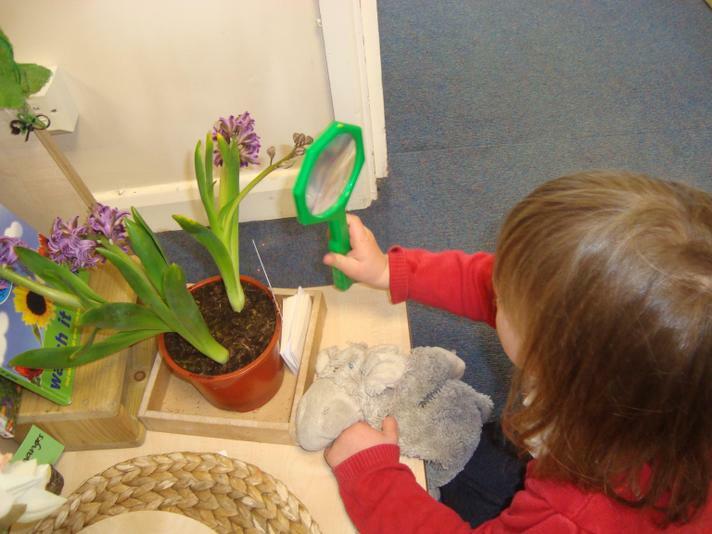 We have been investigating some very strange things in Nursery this week! 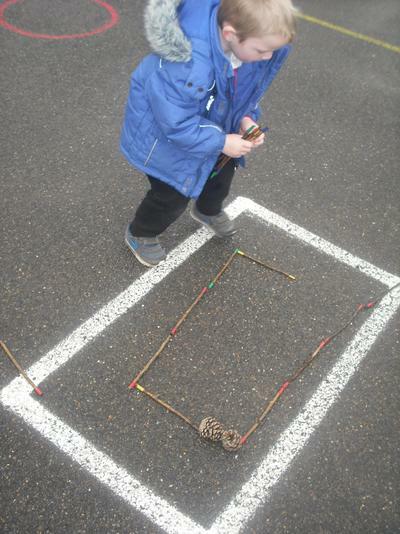 A Door magically appeared in our curiosity cube. The next day white footprints appeared all over the classroom - we thought maybe a snowman was loose in our classroom. The next day a tiny bell appeared and soon after in disappeared! On Thursday a letter arrived from Basil our Kindness Elf asking us to help him find his bell. We drew pictures and talked to our grown ups to see if they had seen it. On Friday we found it and to say thank you Basil gave us a new book! Special Delivery from Spot the Dog! We came to Nursery on Monday and were surprised by a special parcel. We talked about who could have sent it to us. We carefully opened the package and found items to do with celebrating birthdays. The next day we received a book from Spot the Dog, it was about his birthday and he wanted help from us inviting his friends to his party. 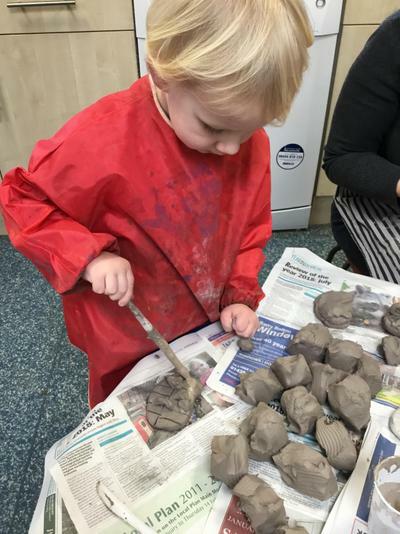 We wrote lists of people he could invite, made decorations for the party and baked cakes! In Nursery we supported Children In Need by making a donation and wearing SPOTS to Nursery. 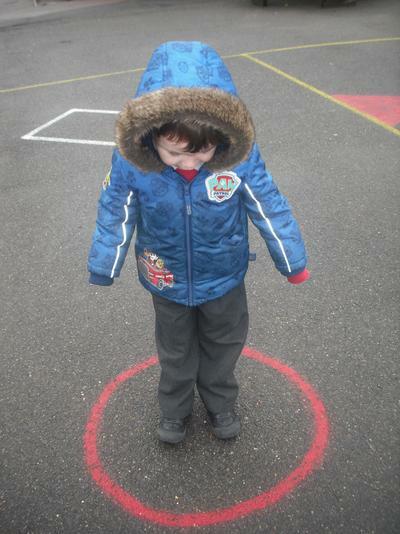 We explored using circles and spots in our learning and even had a visit from PUDSEY BEAR. 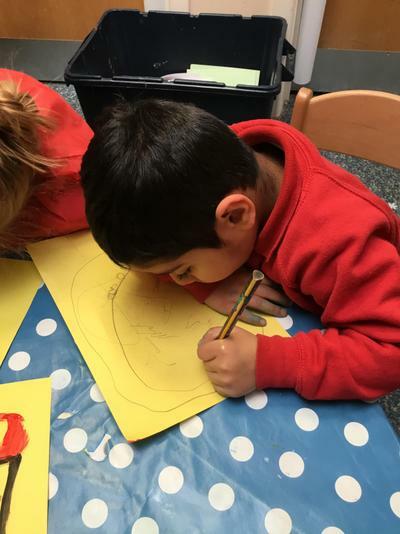 We have enjoyed learning about the festival of Diwali. We have created our own diva lamps and enjoyed making our own firework pictures using different medias. 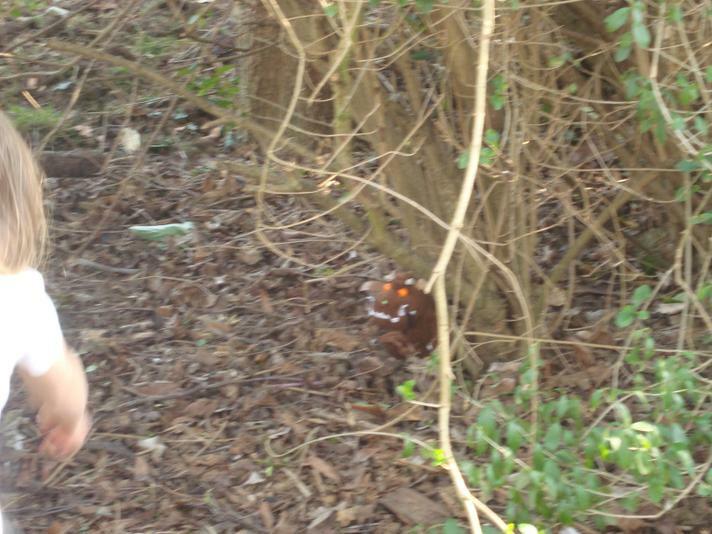 We have been enjoying noticing and talking about the the changes we can see happening outside. 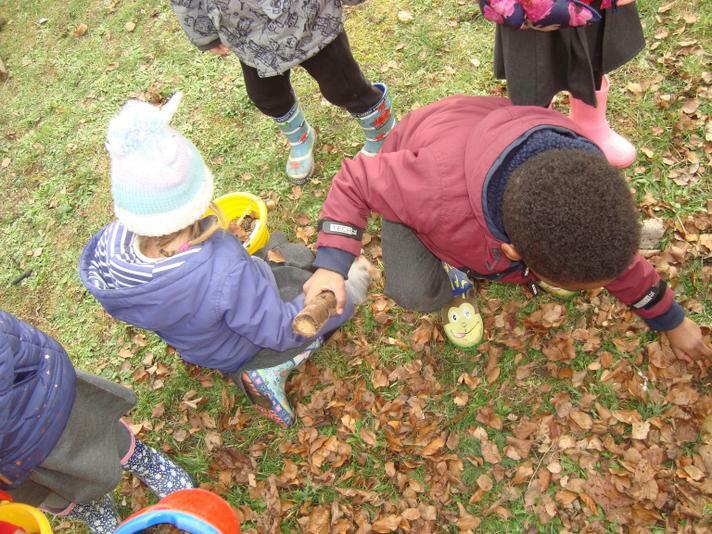 We went on a Autumn hunt with our families and brought in lots of Autumnal objects which we then used our magnifying glasses and senses of touch and smell to look at, and create Autumn pictures. We have read stories and sang new songs about harvest and the changes in the leaves. We brought in food items from home to make into parcels for our elderly neighbours sharing these with the rest of the school in a special Harvest assembly. 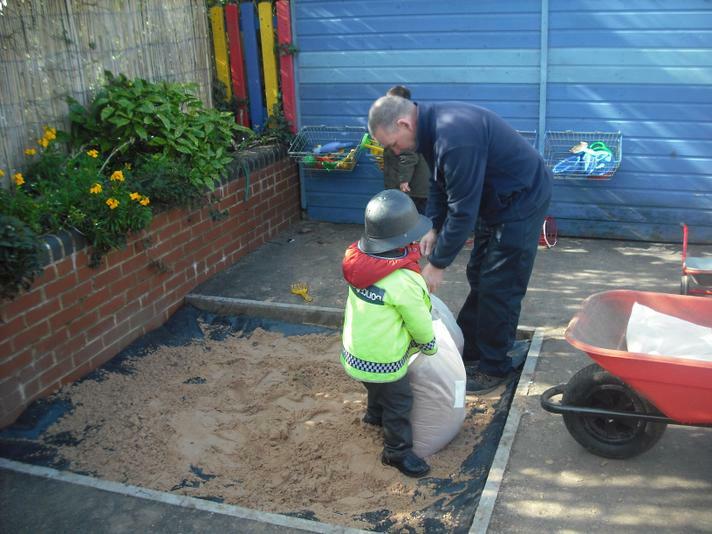 What a busy few weeks we have had settling into Nursery. A huge welcome to all of our new children and families, we look forward to getting to know you and working with you all. 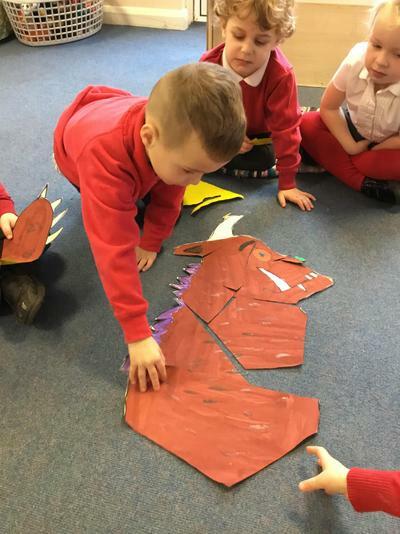 We have been getting to know our new friends and teachers in Nursery. 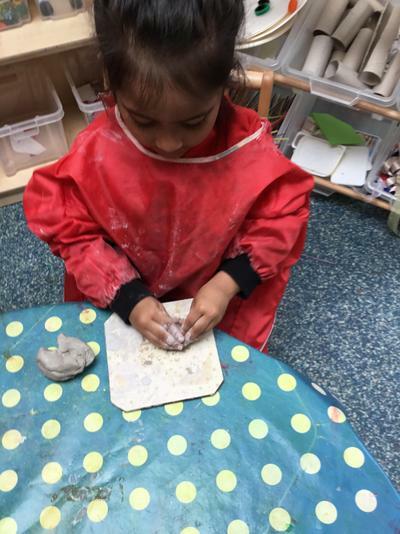 We are enjoying new learning experiences in our Nursery class and have been exploring all the toys and resources we can play with. 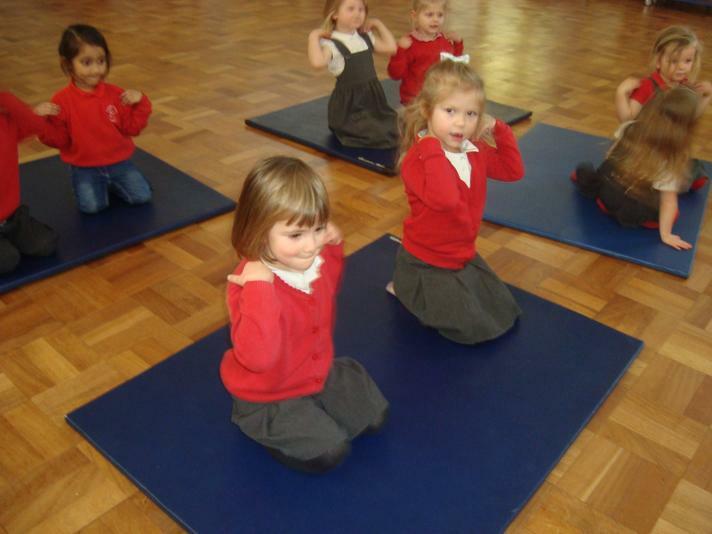 Our first few weeks in Nursery!